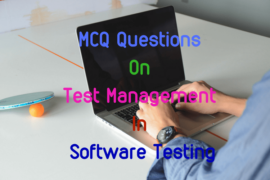 This set of multiple choice question on the fundamental of database management system includes collection of MCQ questions on different types of operators used on relational algebra. It also includes objective questions on different types of binary operator in relational algebra and different DDL statements in DBMS. 1. State true or false. i) Select operator is not a unary operator. ii) Project operator chooses subset of attributes or columns of a relation. 2. …………… database is used as template for all databases created. 4. ………………….. operator is basically a join followed by a project on the attributes of first relation. 5. Which of the following is not a binary operator in relational algebra? 6. Centralizing the integrity checking directly under the DBMS ………….. duplication and ensures the consistency and validity of the database. 7. Which of the following is/are the DDL statements? 8. In snapshot, …………………. clause tells oracle how long to wait between refreshes. 9. 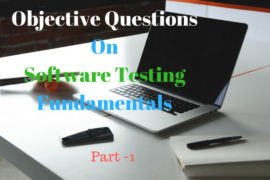 ……………… defines rules regarding the values allowed in columns and is the standard mechanism for enforcing database integrity. 10. For like predicate which of the following is true. i) % matches zero of more characters. ii) _ matches exactly one character.